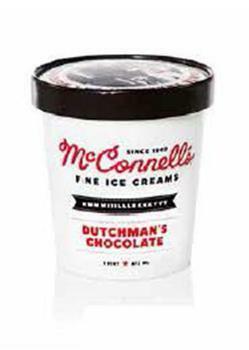 McConnell’s Fine Ice Creams is recalling selected 16-oz. (pint size) packages of ice cream that have the potential to be contaminated with Listeria monocytogenes. “Best By” lot numbers are printed in black on the bottom of the carton. The recalled products were distributed to retail stores in Alabama, Arizona, California, Colorado, Connecticut, the District of Columbia, Delaware, Florida, Georgia, Hawaii, Iowa, Idaho, Illinois, Indiana, Kansas, Kentucky, Louisiana, Massachusetts, Maryland, Michigan, Minnesota, Mississippi, Nevada, New Hampshire, New Jersey, New Mexico, New York, North Carolina, Ohio, Oklahoma, Oregon, Pennsylvania, South Carolina, Tennessee, Texas, Utah, Virginia, Washington and Wisconsin. Customers who purchased the recalled products should not eat them, but return them to the place of purchase for a full refund. Consumers with questions may contact the company recall hotline at 866-723-2454 between 8 am and 8 pm (EST) Monday through Friday or by email at recall@mcconnells.com.